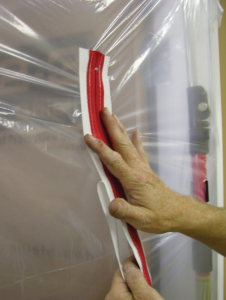 Pro Tect Zip Up is the best all weather entry/exit system for sites that need protection against unwanted dust, dirt & heat loss. The double-sided zipper attaches permanently to your plastic sheeting, allowing you to create any size or shape opening needed. This system is the easiest and most economical way to provide a temporary but secure entry and exit that can be locked on either side. Pro Tect Zip Up can be installed in minutes without special tools. 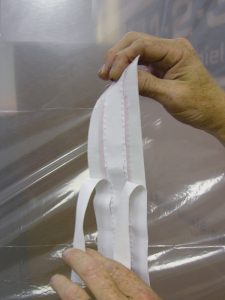 Simply peel the paper backing from the zipper and apply it to the plastic sheeting. 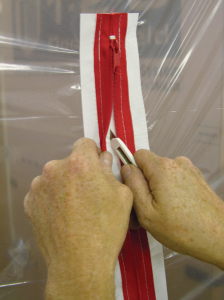 The opening is cut with a standard utility knife using the zipper as your guide. 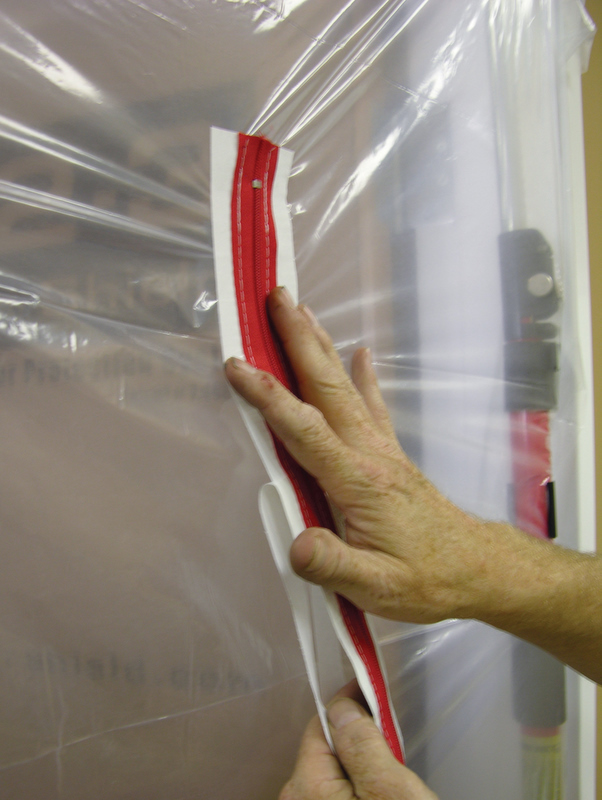 Now simply roll up the cut-out flap and secure with provided velcro tabs to complete your custom access.